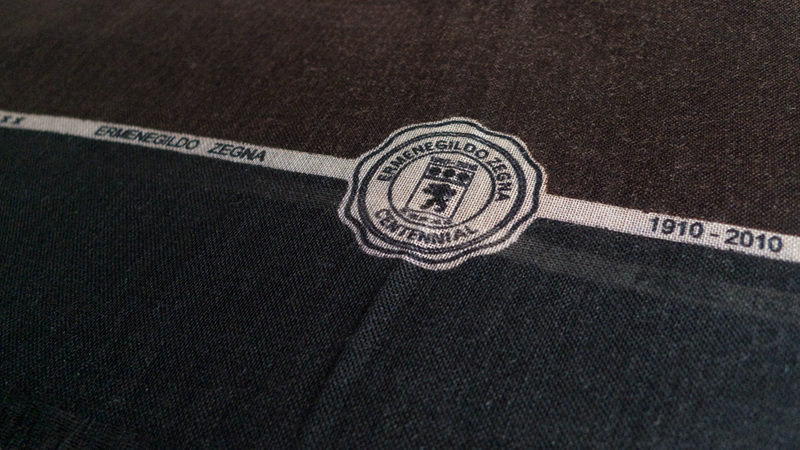 It’s time to show off this beautiful scarf produced to celebrate Ermenegildo Zegna’s 100 years in business. This Fabric Number 1 was designed by Ermenegildo himself and was the first fabric produced at the wool mill in 1910. They managed to reduce the weight of the wool from 500 grams per metre in 1910 to 270 grams per metre in 2010. How’s that for progress. Just so happens Ed and Jill Hundy from Windradeen farm in New South Wales, also set a new record in fineness in 2010 and won the Zegna Vellus Aureum (Golden Fleece) prize for the world’s best superfine fleece. They produced a 10 micron fleece. A super fine Australian connection.